The goals that were set while defining the targeting strategies covered a vast range of aspects such as easier filling of low occupancy flights, or stimulating specific route segments with historically low conversion rates. The challenge was to be able to trace the complex behavioral characteristics of Alitalia’s users in order to effectively identify and target the most appropriate customers at exactly the right time. The Fanplayr integration provided an effective way to track the complex data and behaviour of site visitors, covering the variables specifically provided by Alitalia. 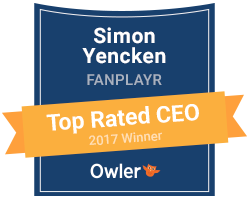 Through A/B tests directly set from the Fanplayr platform, several different campaigns and related incentives were tested to identify the most effective strategies. The outcome of the A/B tests revealed extremely encouraging numbers, showing a positive difference between control and target groups often higher than 30% under different aspects.